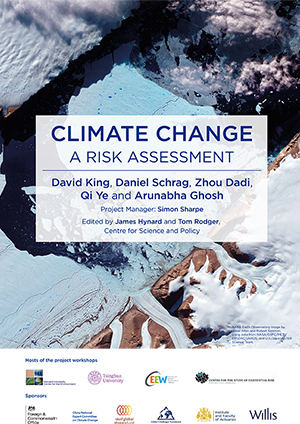 This report is an independent assessment of the risks of climate change, designed to support political leaders, businesses and financial markets in their decisions on the issue. It takes into consideration three areas: the future pathway of global emissions; the direct risks arising from the climate’s response to those emissions; and the risks arising from the interaction of climate change with complex human systems. This first-of-its-kind multi-country assessment applies the principles of risk assessment used in finance and national security to better understand and communicate the risks of climate change. 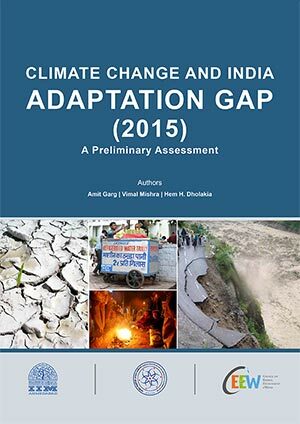 Conducted by CEEW in collaboration with the UK Foreign and Commonwealth Office, the University of Cambridge, the Harvard University Center for the Environment, and Tsinghua University, the report highlights direct and systemic risks of increasing climate change in India and the world. Launched simultaneously at the Bombay Stock Exchange and the London Stock Exchange, the report is the result of consultations with numerous experts from the fields of climate science, energy technology, water, food and agriculture, health, finance, accounting, insurance, and defence and national security (through meetings, workshops, wargaming, and scenario planning) held from November 2014 to April 2015. There is a 40 per cent chance that climatic conditions could exceed potentially lethal limits of heat stress, even for individuals resting in the shade, when global average temperatures have risen on average by one degree compared to the present. A ‘1 in 100 year’ shock to global food production in the latter half of the 20th century may have become three times more likely by mid-century with increasing climate change. On a high emission pathway, the incidence of extreme drought affecting cropland could increase by about 50% in South Asia, and triple in southern Africa. By 2050, approximately 1.7 billion people in South Asia will be faced with risk of extreme water shortage. With 1m of global sea level rise, the probability of a ‘100-year flood event’ becomes about 40 times more likely in Shanghai, 200 times more likely in New York and 1000 times more likely in Kolkata. On a high emissions pathway, flooding in the Ganges basin could be six times more frequent, over the course of the century. As high rates of global population growth are increasing demand, climate change could further reduce already stressed resources, especially in conflict regions. This could lead to state failures, food restrictions, civil unrest, large-scale migration and internal security hazards. Make risk assessments on a regular and consistent basis so that in areas of uncertainty, any changes or trends in expert judgment are clearly visible over time. Apply principals of risk assessment including assessing risks in relation to objectives, identifying the biggest risks, considering the full range of possibilities, using the best available information, taking a holistic view; and being explicit about value judgements. 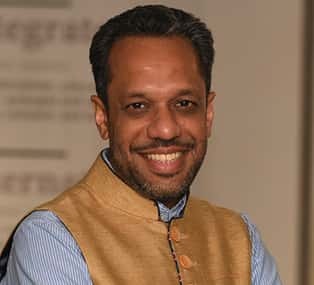 Broaden participation in the risk assessment process and define the relevance of different participants to different stages of the process (like decision making and information gathering); and widen involvement by including experts from fields like defence, intelligence, insurance, and public health in addition to scientists. On all but the lowest emissions pathways, a rise of more than 2°C is likely in the latter half of the 21st century. Have a query about this publication?